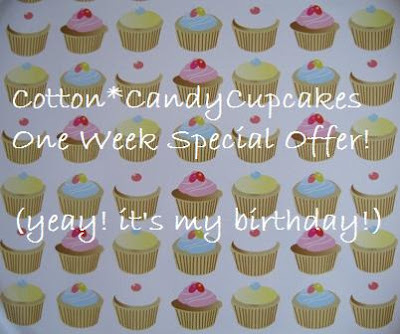 I am having a one week special offer on selected items! offer starts TODAY 4th April ends next saturday 11th april. the new price are marked in pink next to the original price. Have fun browsing! sharing and giving is definitely more! Hi. I have emailed you regarding my orders.